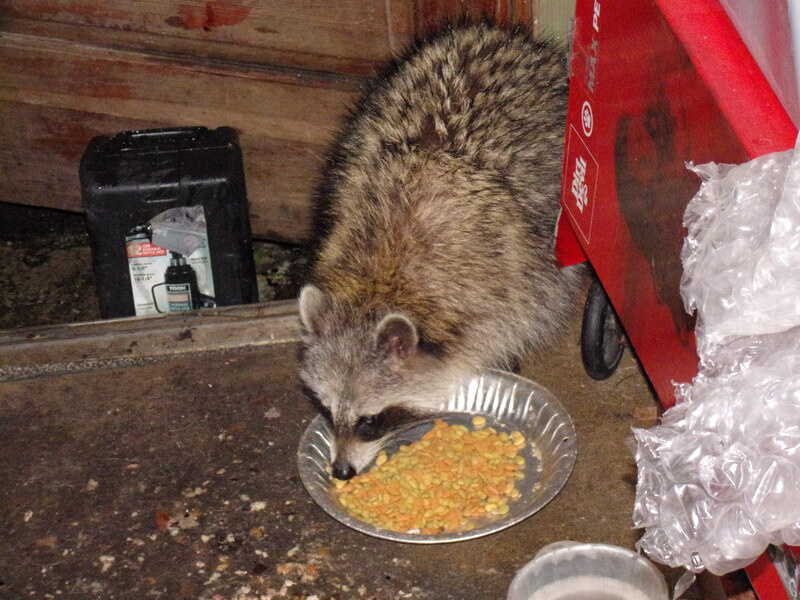 Reader Robert Jase has been feeding raccoons (Procyon lotor), striped skunks (Mephitis mephitis), and a Virginia opossum (Didelphis virginiana). He’s a man after my own heart, and let’s not have any kvetching about feeding wild animals here. I’ve told him that I prefer pictures in focus, but he admits that he has trouble focusing (it is dark in there, after all). Never mind; I have ducks, and he has mammals. Robert’s notes are indented. 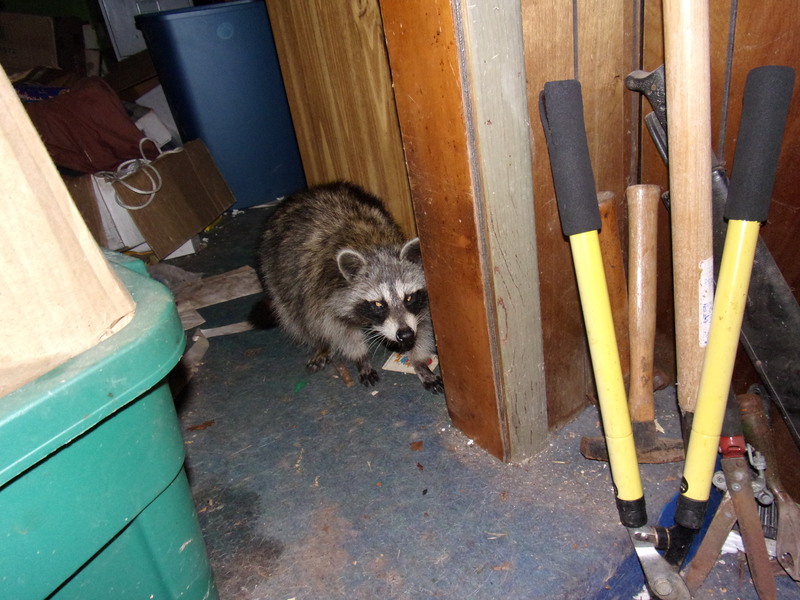 His first raccoon was named Rackets. The first two pics are of Rackets, she has been coming by since she was a kit two years ago. I make it a point to always talk around her as all other wild visitors in a calm but natural tone so they can learn my sound & smell. BUT only mine rather than people in general. Rackets sort of knows her name, will come when I call her and will not only nuzzle my hand but will also let me rub her nose with my fingers . Also she will reach out and touch my hand with her paw. 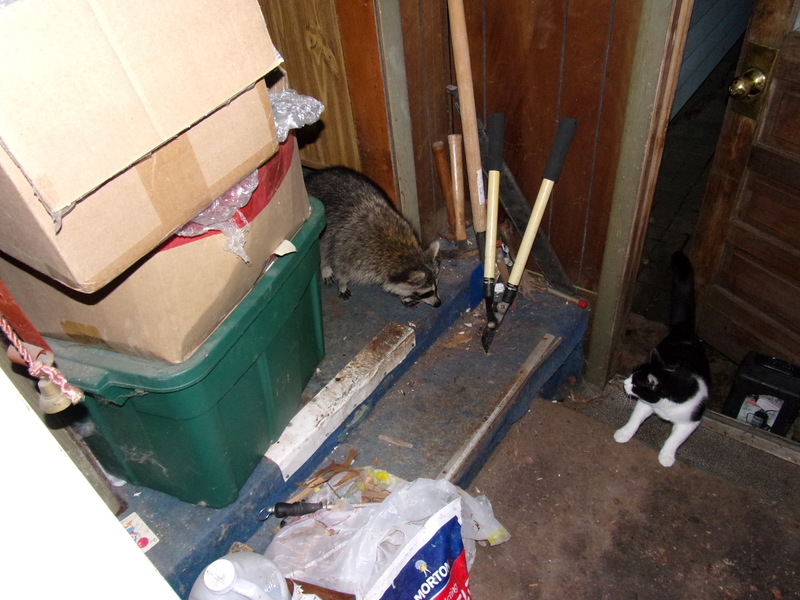 The third pic shows Rackets and my cat Tippie checking each other out in passing. And. 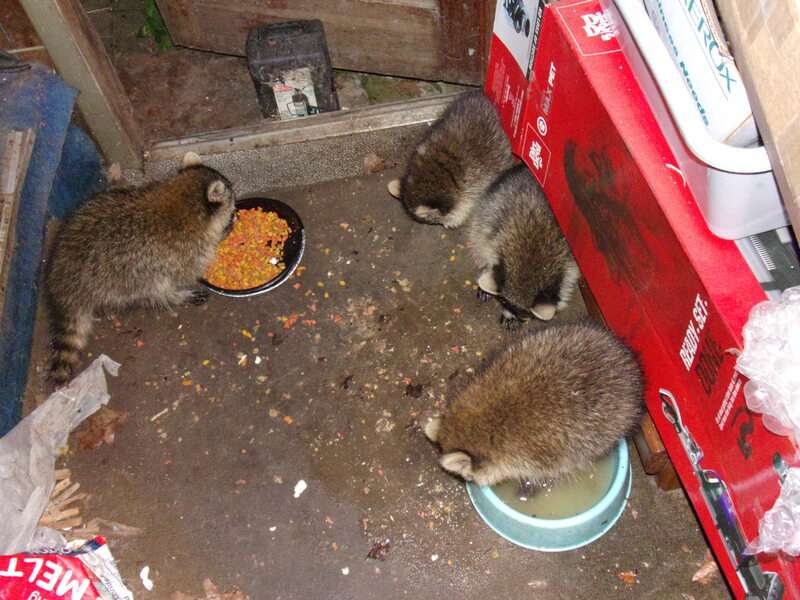 . . raccoon kits! 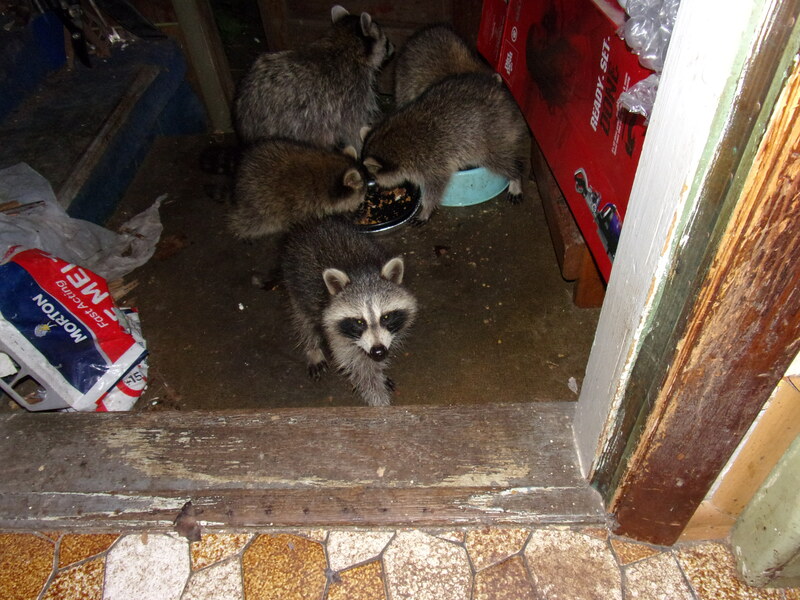 Last night Rackets brought her four kits over for supper, she’s the larger one in the center of the first photo. They are just as fluffy and plush as they look – I spent about twenty minutes playing with them, they like grabbing fingers and taking apart my clothespins, and petting them. As the third photo shows, it was a long hot night and Rackets needed to just crash for a while while I acted as babysitter. That water bowl got changed and refilled four times between the dabbling and standing in the water. 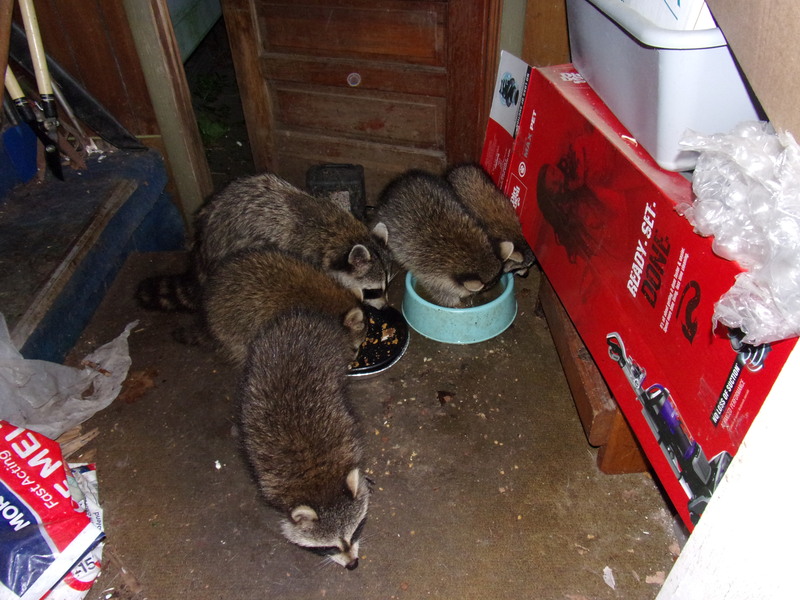 BTW, Bebbiz has at least two kits also, that makes four generations of this racoon family. She’s more cautious so I haven’t gotten pics of them yet. This entry was written by whyevolutionistrue and posted on June 23, 2018 at 8:00 am and filed under mammals, photography. Bookmark the permalink. Follow any comments here with the RSS feed for this post. Both comments and trackbacks are currently closed. Assume this is a bit more rural, where is this? New Britain, CT, right on the edge of a watershed area. That’s a party I wish I had been invited to. 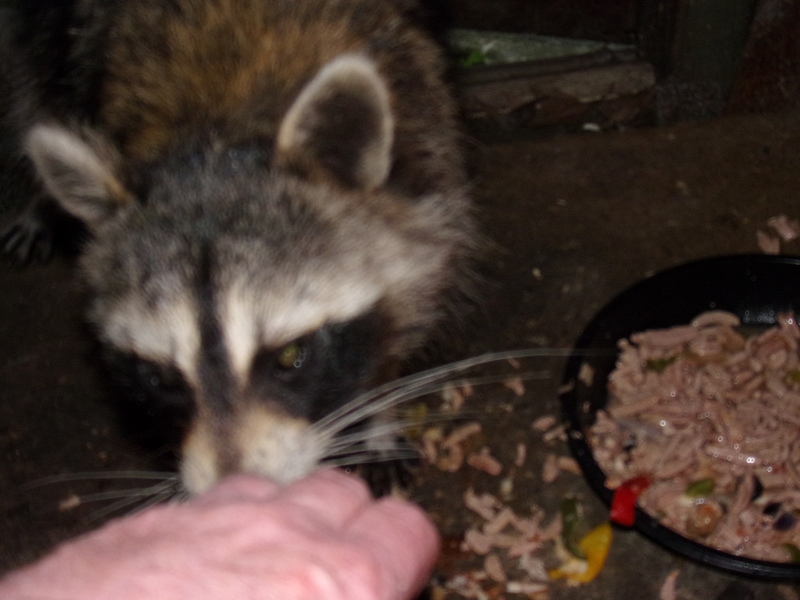 If they are sick with rabies their behavior is clearly abnormal (disoriented, making uncharacteristic noises). I don’t know if they can transmit the virus while not showing symptoms, though. This would make feeding time pretty interesting! Wonderful photos and notes. Thank you for sharing. 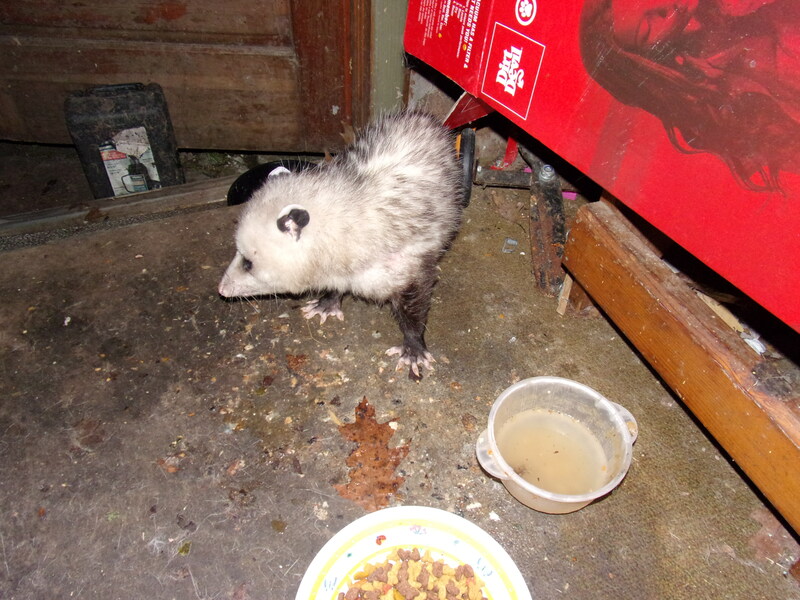 I’m sending this on to a few more people – one of whom has a similar feeding parade on her back deck at night. I’m not sure I’d want them right up next to or in my house or outbuilding, but pretty cool all the same. 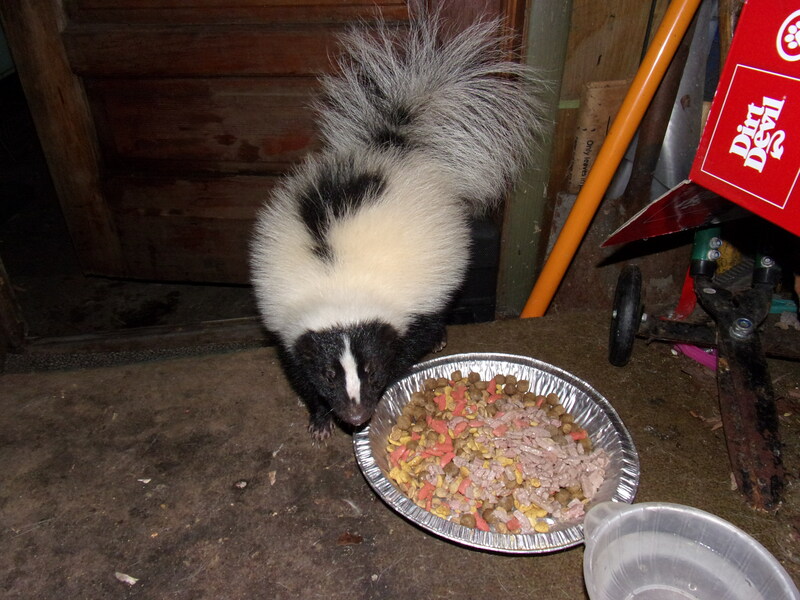 I did just last night finally prove I have a skunk in my yard (the culprit in the “Great Flower Uprooting Caper”) so I’m excited (if it would leave my shasta daisies and butterfly weed alone). Good on ya for living WITH wildlife rather than fighting with them, like so much of humanity does. 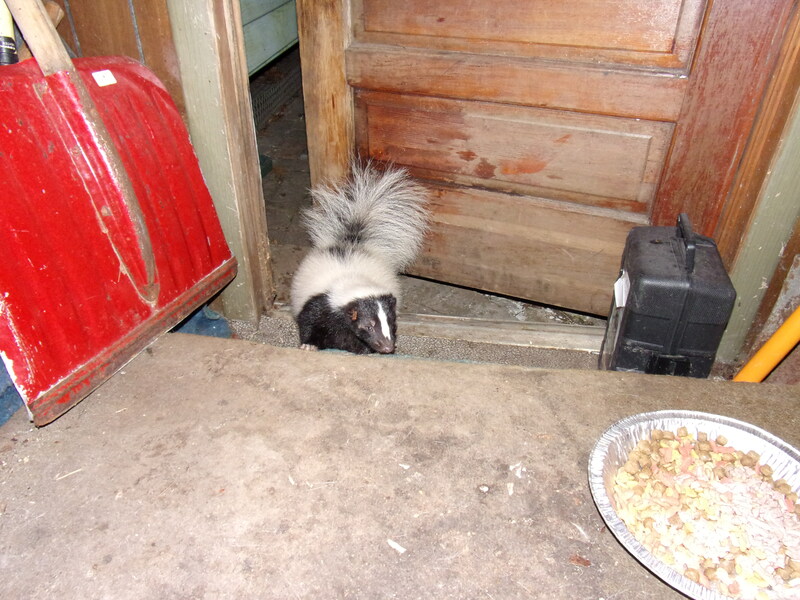 A raccoon, a skunk, opossum and a cat sharing quarters and food together seems amazing to me! All look quite happy and healthy. 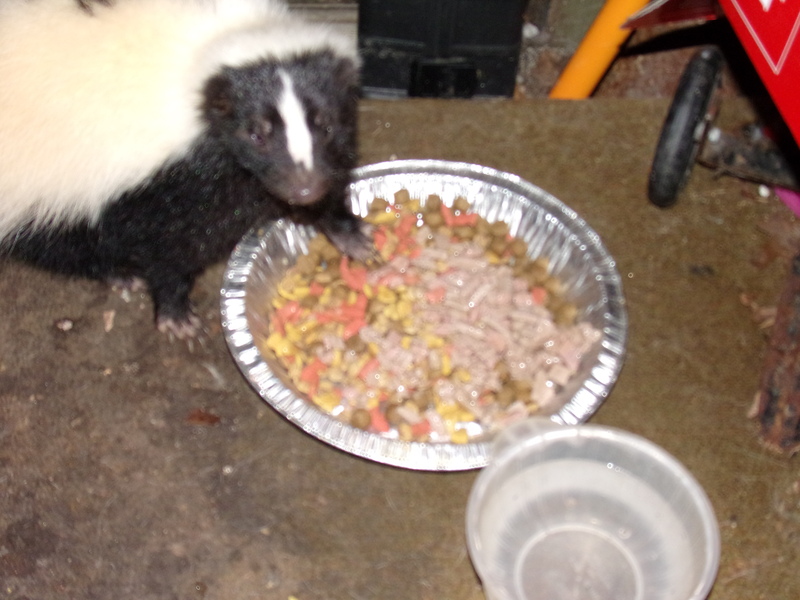 I hope we’ll be seeing baby skunks some time!